The Australian Automotive Research Centre (AARC) is near Anglesea in the Otway Forest Park, on Victoria’s Great Ocean Road. International Harvester originally built the place when it was a power in Australia and based in Geelong. The original Acco trucks designed and built in the fifties and sixties would have seen their first light of day at this testing track. It is a little unusual for a transport company to own such a specialised facility, but Lindsay Fox is an unusual man. 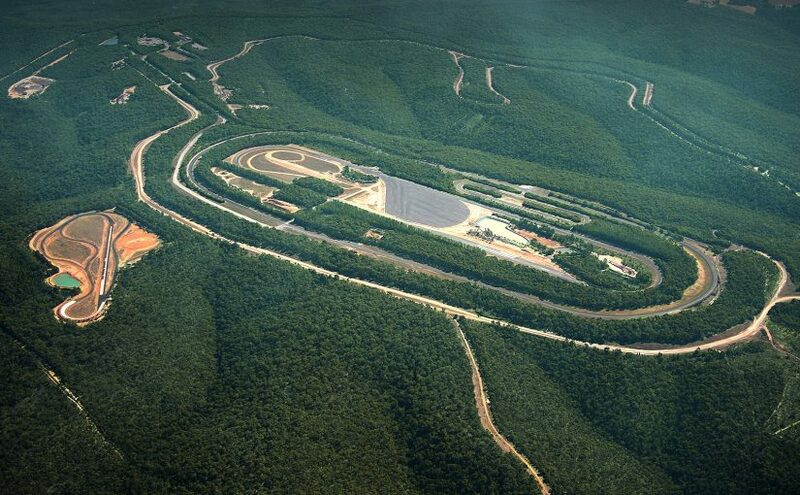 It is the biggest testing area of its kind in Australia. As such, a lot of testing by many of the automotive companies takes place here. It is such a big site, there will often be a number of different testing programs going on at any one time. Often those doing the testing will be competitors, so confidentiality and clearly defined partitioning of the site is often necessary to ensure the wrong person doesn’t get to see another’s next generation vehicle, tyre or braking system at work. Another use for the facility is for events involving vehicles. Journalists for truck magazines often get their first taste of a new truck in the enclosed and secret confines of the AARC track. There is a long enough main track and a substantial country road type scenario for a driver to get a reasonable first impression of any new technologies or designs, before getting the opportunity to test the truck in more realistic conditions out on the highway, after the truck’s release.